It is to determine colour fastness test to water, sea water, perspiration fastness in textiles and sublimation during storage. Perspiration tester consists of a stainless steel frame with 21 acrylic separator plates to hold 20 samples. An electric precise oven is required. Treat the composite sample with synthetic perspiration, sea water or water. 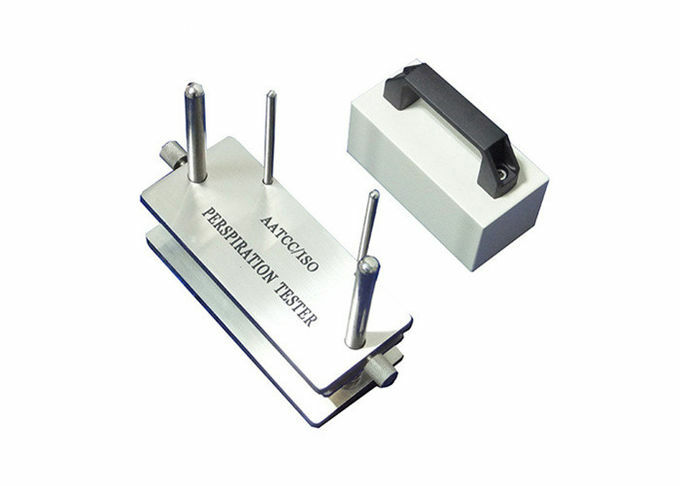 Place the perspiration tester with 20 samples which held between plates under a given pressure by standard loading weight into an oven for a requested time at a requested temperature. Compare the degree of fading and pollution of attached white cloth with gray scale, and appraise the perspiration color fastness.